[SatNews] The Canadian Space Agency (CSA) has announced the results of its Geospace Observatory (GO) Canada Announcement of Opportunity (AO). Ten contribution agreements valued at $6.2 million over the next five years will be awarded to the Universities of Alberta, Calgary, Saskatchewan, and New Brunswick as well as with Athabasca University. These projects will allow Canadian scientists to better understand how space weather affects the ionosphere (the upper part of the atmosphere made up of ions and electrons) and the consequential impacts on technology. For instance, GO Canada will contribute to a better understanding of the phenomena that caused the Hydro-Quebec blackout in 1989. Canada's ground and space infrastructure and services can be particularly affected by space weather because of its proximity to the magnetic pole. Increasing Canada's resilience to the impacts of space weather on its power distribution networks, communication and navigation systems are critical to Canada's security and economic well-being. On March 28th, 2013, the CSA solicited proposals for this AO as part of the GO Canada program. 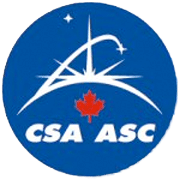 This initiative under the CSA Grants and Contributions program is aimed at funding a number of projects that will make high-value observations of the near-earth space environment (geospace) above Canada. This AO was open to Canadian universities or post-secondary institutions. The Instruments and Data document provides information on the selection process and evaluation criteria of this AO.